How to make copied HD to start system as the C: drive? The drive named Copy of C (D:) is the one with the 7200 RPM speed. So the copy process apparently was successful. But how can I make this copied HD to start system as the C: drive? If that's possible, I expect to have the 7200 RPM HD running the OS and programs and then make the old C: (with another letter) set for backups. The Data (F:) is used to save downloads in general, videos, images, etc. Can I use AOMEI Partition Assistant Standard Edition 7.1 to make this crucial change? How? TIA. You want to boot from the 7200 and Clean (Empty) the 5400? You can only have one boot disk. Did you make a system clone? You can disconnect the 5400 and see if it boots from the 7200. Maybe you need to swap sata cables. If you just copied the C partittion that won't work, You need the invisible system partitions too. Another option is to boot from the original 5400 but immediately start the OS from the 7200 (using the system partitions from the 5400.) In that case you just need to add the D partition to the boot menu (with free EasyBCD), set D as the default OS and skip the boot menu (all done in EasyBCD). The OS will be named C partition. The other partitions will have other letters and/or you can add/change the letter to the original C in Windows disk management. 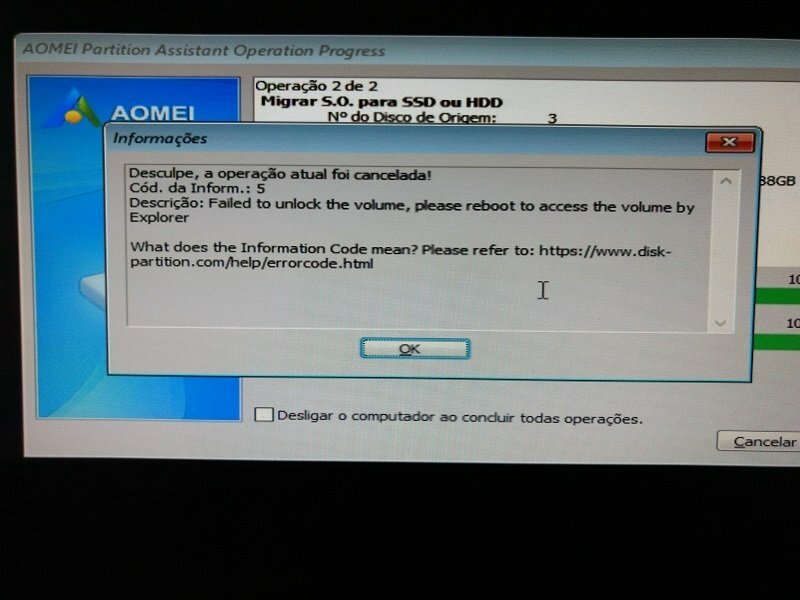 You may not remove or clean the original disk in this scenario because it is the boot disk. AOMEI Partition Assistant Standard Edition 7.1 named the drive Copy of C (D:). I don't know if it's just a copy or a fully functional bootable drive. That's precisely why I started this thread. At first I thought it would copy and then make the new copied drive the one to start the system, but it didn't. 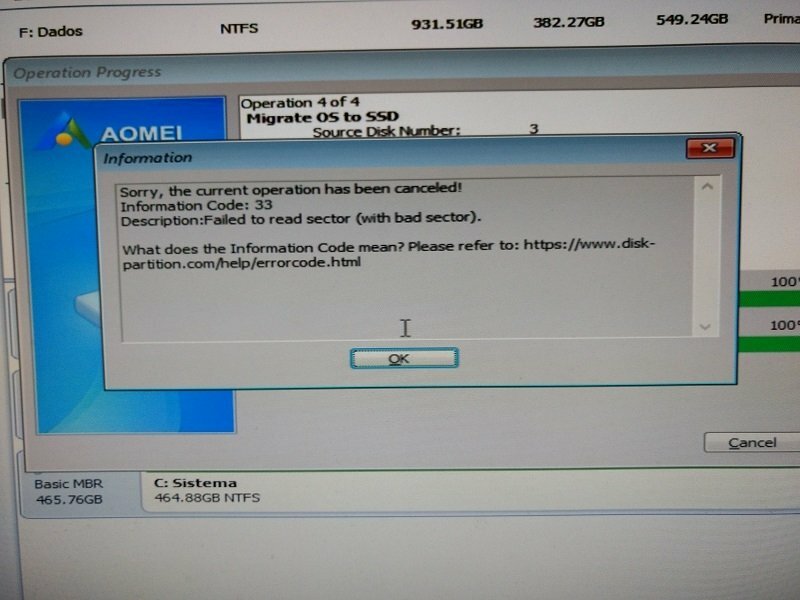 If AOMEI Partition Assistant Standard Edition 7.1 isn't capable of doing that – clone and assign the new/copied drive as the boot one – is there another program that'll do that? TIA. Don't know about PA. We always use Aomei Backupper Free. There is a Disk Clone option or a System Backup+System Restore option in it. System Clone is only available in the paid version. Sorry, guys! I made a big mistake here! Since I didn't see anything named Clone, I used the Copy function of AOMEI Partition Assistant Standard Edition 7.1. You see, I used the wrong function! I'll try Migrate and let you know about the result. Anyway, I hope my mistake can be helpful to others! Unfortunately, the Migrate option showed an error message. Why did this new disk (G:) appear? Why is it called Migrate OS to SSD in English and is it called Migrate OS to SSD or HDD in all other languages?